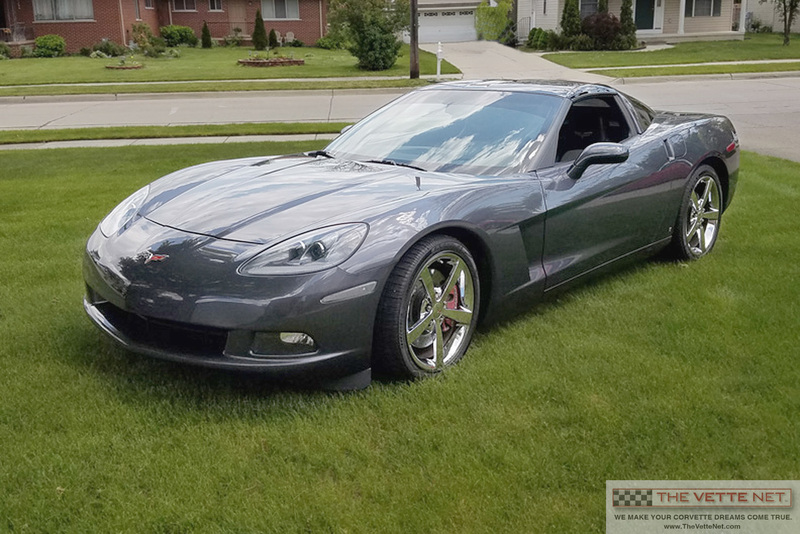 GENERAL INFORMATION: This very desirable Cyber Grey 2009 Corvette Coupe is privately owned and is located in MICHIGAN. It is being presented to you by THE VETTE NET. We are a professional Corvette brokerage network and proud Lifetime Business Member of the National Corvette Museum. The owner of this Corvette has noted the driveline is in factory stock condition and everything works properly. The factory original Cyber Grey paint optioned with the Ebony and Grey interior is a stunning color combination and receives lots of compliments. SPECIFICATIONS/OPTIONS/FEATURES: The Corvette has its numbers matching driveline that has not been modified. The LS3 engine (430hp) is mated to the 6-speed paddle shift automatic transmission. The Corvette was ordered with the 3LT option package. Aftermarket additions include window tinting and a remote activated “mild-to-wild” exhaust sound control. CONDITION RATING: (Using a 10-high scale): The owner rates the overall condition of this Corvette as 9. All the normal maintenance has been done and this Corvette is ready for you to enjoy. This Vette has been driven on average only about 3,750 miles per year! A CarFax report is available for your review. TRANSPORTED TO YOUR LOCATION: No matter where you live, delivery can be arranged anywhere worldwide at a reasonable cost. I am very experienced working with international Corvette enthusiasts and welcome all inquiries. Do you have a Vette for sale? If yes, you may want to take advantage of our unique FREE marketing program with no upfront fee and no contract. Click here to submit your Corvette for sale.